No one wants to put a loved one in a nursing home. We do it because that is where we feel they will get the best care at a time in their lives when they can no longer care for themselves. So it is all the more unconscionable that the people charged with caring for our most vulnerable family members or friends might be abusing or neglecting them. Sadly, though, nursing home abuse is not an uncommon thing in the United States—and particularly in Florida, with our large elderly population. If you have a loved one in a nursing home who has suffered abuse or neglect, you might be wondering what to do. The first thing is to put a stop to the abuse and ensure your loved one gets any emergency care they might need. Next, talk to a nursing home abuse lawyer at the Law Firm of Anidjar & Levine. Our attorneys know how to pursue the responsible parties in nursing home abuse cases and we have won big settlements for our clients. We can put our experience and resources to work for you. Call 800-747-3733 today for a free consultation with a nursing home abuse lawyer in Boynton Beach. We Fight Against All Forms of Nursing Home Abuse and Neglect. Nursing homes are tightly regulated in Florida, but sometimes abuse and neglect happen for way too long without detection. Whether the mistreatment of your loved one was due to careless negligence or intentional acts of abuse, we aggressively pursue the responsible party for damages. Here are some of the most common forms of nursing home abuse in Florida. In nursing homes, some physical contact between caregiver and patient can be necessary. For instance, a caregiver might need to physically restrain a patient with dementia who wanders off the premises. But assaulting or being unnecessarily rough with patients, particularly elderly and fragile ones, is never okay. A nursing home resident could be a victim of emotional abuse if they are the recipient of demeaning, condescending, intimidating, or manipulative comments from caregivers. If your loved one could eat, bathe, get dressed, pay bills, remember to take their medicine, and complete other such self-care activities without help, they would not need nursing care. When their caregiver fails to help them with these vital tasks, it constitutes neglect. Sexual abuse can include any unwanted contact, sexual advances, indecent propositions, and even jokes or off-handed remarks of a sexual nature. This can include outright stealing, or it can take a more subtle form, such as a caregiver manipulating a patient into buying gifts for them or allowing the use of their credit card. We pursue maximum compensation for all forms of nursing abuse and neglect. Depending on the details of your case, we may also seek punitive measures to ensure the responsible party cannot continue to victimize vulnerable patients. Speak to an attorney today to find out more. The introduction of unnecessary new medications. The above list is a good starting point, but if you see anything that just does not look or feel right, rely on your intuitions and take immediate action. How to Respond If You Suspect Your Loved One Is Suffering From Abuse or Neglect. If you suspect abuse or neglect, you should take action immediately. First, and most important, get your loved one any emergency medical attention they need. Next, report your suspicions to the owner or manager of the facility. If you believe that person is also at fault for the abuse, you can file a report with the Florida Department of Elder Affairs. In fact, you should file a report no matter what; that way, the state has a record of your complaint and can investigate. You should also contact a nursing home abuse lawyer in Boynton Beach to represent you and your loved one. The attorneys at The Law Firm of Anidjar & Levine specialize in helping victims recover compensation and get their lives back, and we look forward to putting our knowledge and resources to work for you. Nursing Home Abuse Cases Are Tricky, so Choose an Attorney With a Winning Track Record. Nursing home abuse and neglect cases are notoriously complex. They operate at the intersection of many facets of the law, including personal injury, medical malpractice, contract, and criminal law. If your lawyer is only an expert in one or two of these areas, they might miss something big that could make or break your case. Our attorneys understand all the complexities at play in a nursing home abuse case. We have built a track record of winning big cases that speaks for itself. Let us put it to work for you and your loved one. When we take your case, we commit to pursuing every form of compensation for which you and your loved one are eligible. 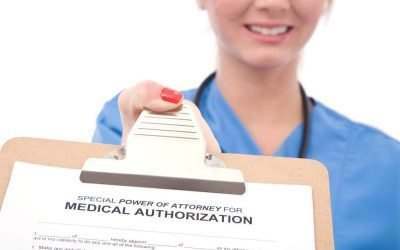 This means medical bills, rehabilitation, pain and suffering, and potentially punitive damages. In a worst-case scenario where your loved one died as a result of the abuse or neglect they endured, we will pursue a wrongful death suit. Call 800-747-3733 to Speak With an Attorney Today. Want to find out more? Call 800-747-3733 to speak with an attorney from the Law Firm of Anidjar & Levine about how we can help you and your loved one.